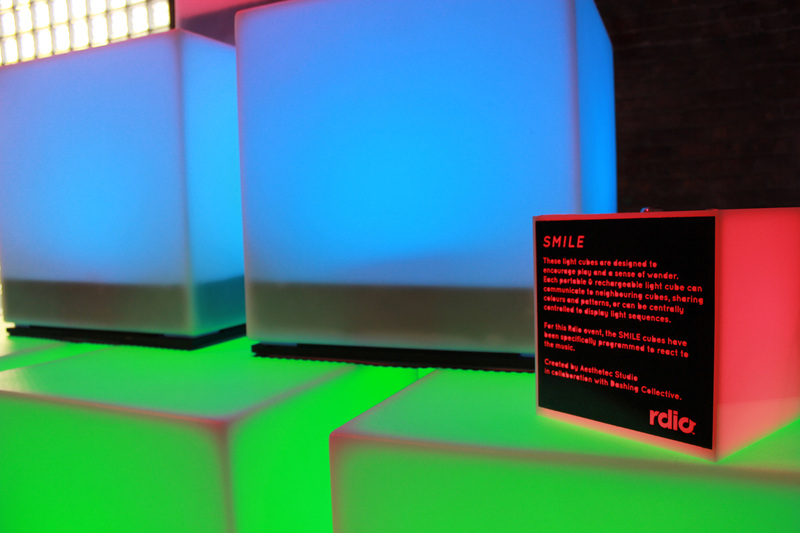 Short for Socially Motivated Interactive Light Environment, SMILE was originally created for an all-night outdoor installation at Toronto Nuit Blanche in the historic Fort York park. Each cube is outfitted with a high-brightness RGB LED, a SLA battery, and is wirelessly programmable. Additionally, the cubes can form a mesh-network, communicating with each other or receiving commands from a central computer. 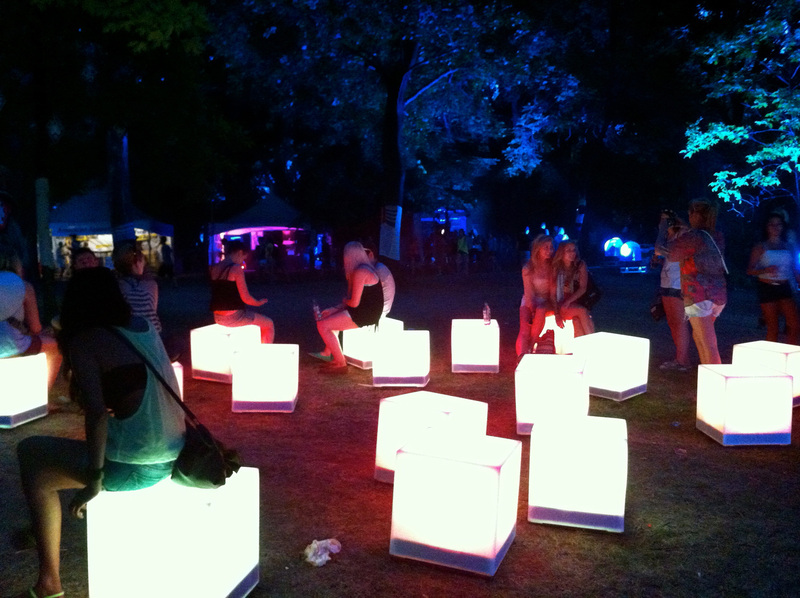 Since 2011, Aesthetec has installed the SMILE cubes at numerous events, from outdoor music festival to indoor parties and weddings. 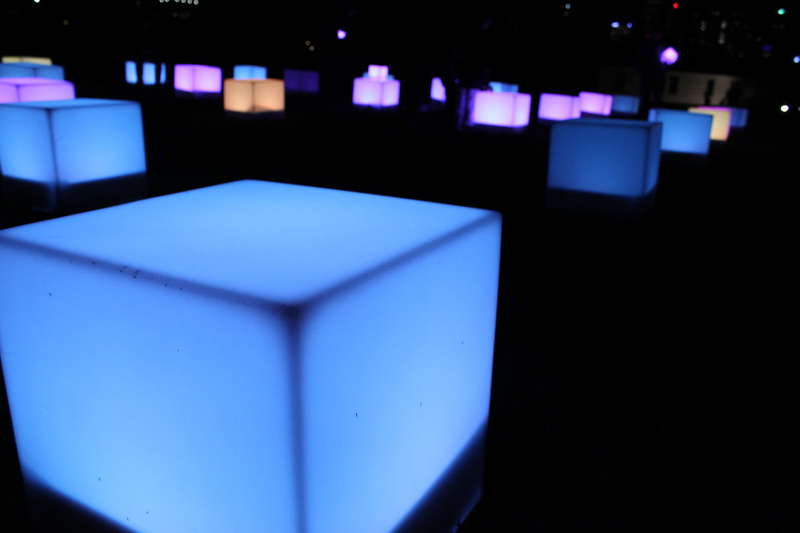 The cubes can be set to respond to music or just play patterns on their own. At full charge, each cube will last up to 8 hours. They can be sat upon, stacked, or even danced on. 15 cubes are available for event rental, please contact us for more details.